One of the more laid back restaurants in Camps Bay where I like to enjoy lunch and some cocktails has a great new winter special. I first tried out Mynt Cafe, Camps Bay when they were on The Entertainer App, and thoroughly enjoyed their burgers and pastas! When I walked past the other day, I noticed they are offering a 2-4-1 special on exactly that. All their burgers and pasta dishes, plus they have an awesome cocktail special to make the deal even sweeter! 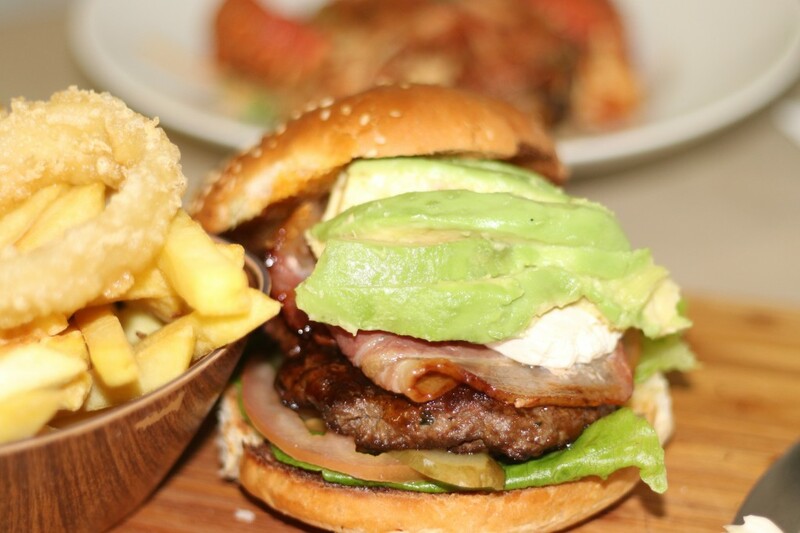 Their famous bacon, avocado and feta burger, served with onion rings and a side salad or chips. The restaurant is situated along the world famous Camps Bay Strip, next to The Place On The Bay Hotel. For those of you that know the area, it is where the old Sandbar used to be situated. So you’re right in the mix of things, with a great sea view, and it’s a great spot to visit after a day on the beach. Laid back, no pretentious vibes, feel free to come in your board shorts and slops, with sand on your feet! 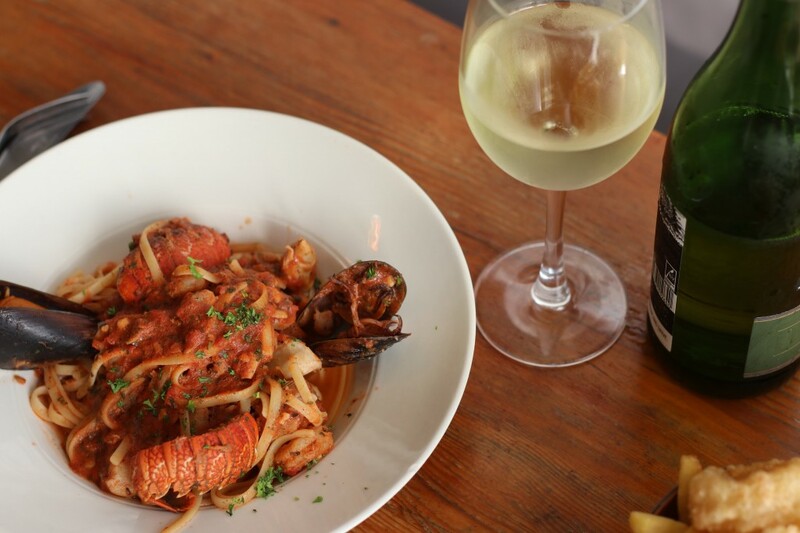 Their flagship seafood pasta in Napolitana sauce, which is topped with crayfish, mussels and grilled hake. 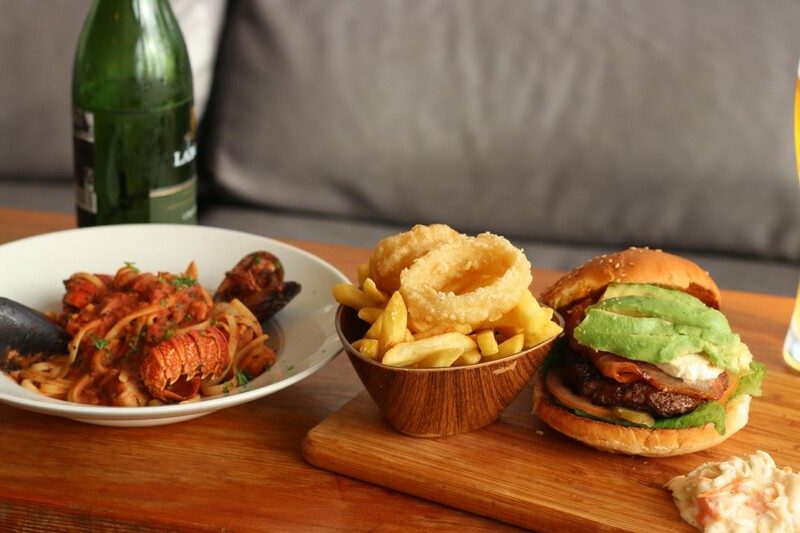 Get 2-4-1 on all burgers and pastas all day from Monday – Friday, excluding public holidays. You can mix and match burgers and pastas, but you’ll basically get the cheaper dish free. So you can enjoy a burger, while your partner has a pasta. You just pay for the more expensive dish. Comprende? Get 2-4-1 on selected house cocktails between 4pm and 6pm from Monday – Friday, excluding public holidays.